I’m always intrigued by players who could have been superstars in their era, perhaps Hall of Famers, if not for injury or other circumstance. Warren Jabali was one of those guys. He was a Pacer for one season, an ill-fated experiment that didn’t live up to its promise, but he remains one of the most intriguing players in the franchise’s history. Filtered through the numbers on the back page of a media guide, Warren Jabali’s lone season with the Indiana Pacers was forgettable. 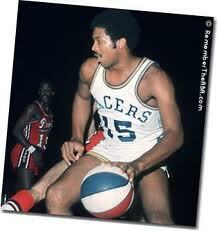 Plagued by physical ailments, he averaged 11 points and 4.8 rebounds over 62 games in 1970-71, and was released at the start of training camp the following season.